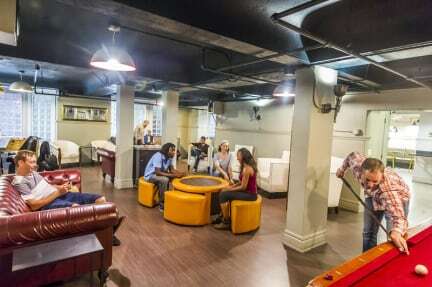 USA Hostels San Francisco kohteessa San Francisco, Yhdysvallat: Varaa nyt! Really enjoyed my stay! Free breakfast was really good. Location was really good. Staff was nice and helpful. I stayed in 4 person female dormitory and the room was pretty big. I stayed for a week and have nothing negative to say about the place. Would definitely stay there again next time I'm in San Francisco. The location is great., multiple Bart and Muni stations in walking distance. People here are really nice. Bathrooms and dorms are clean. I will choose to stay here next time I visit SF.